Those habits we all have are dam annoying right? I am talking about the bad ones we have, developed over years of routine without even realising. The ones that are negatively impacting on our health. The sugar hits, fast food convenience and lifestyles so busy exercise is yet another chore. Habits are easy to recognise but hard to break. They are sneaky little things that embed themselves in our lifestyle. Slowly but surely creeping in. Suddenly these habits become comforting, something we look forward to at the end of the working day, or that 20 minute window of opportunity to indulge after the children have gone to bed. You reach for the wine, a chilled can of lager, and none of these are quite complete without a bag of crisps or a bar of chocolate, and so the cycle continues. The habits have you hooked. You know about the healthy snacks, the health advice and exercise recommendations – but my god it’s hard work right? Then there’s the latest food craze or exercise gizmo promising outlandish results with only 10 minutes of stomach crunches a day. Sounds easy. Even better press this button on your remote and it can be delivered to your door the next working day. It arrives, it gets used and then it gets stored away. The spiders love it as they spiral there web around your fitness equipment under the stairs! That’s not forgetting the articles and sales pitches created to entice you to their sales landing page for a ‘breakthrough diet’ endorsed by a celebrity as you surf the web. Titles like ‘7 ways to transform your body 5 minutes a day’ etc etc. A vision packaged around fast results, convenience and images of beach bodies. But no, you don’t fall for that – but most of us do. But we are all missing a trick here. Forget the diets. Diets are restrictive. They tend to follow the same journey for everyone. Does this feeling sound familiar? You gorge yourself on the last day before your start your new regime. You wake up and try hard to resist anything you like. At the end of the day you feel a little weak but proud that you have stuck to your diet. You convince yourself you feel better, but in reality you feel quite lousy. Interestingly enough at the same time we do more exercise. The body is in a bit of a shock here. Think about it. The calories it has been used to are suddenly cut to a very low daily intake and then the demands for energy are increased beyond what it is normally used to. What the hell? A perfect storm for failure. It will not work. Your metabolism will slow, and your cravings will increase. Worst of all the experience is that bad you will never try and lead a healthier lifestyle again. So the cycle continues for a full day – if you are really determined may be a few weeks. But inevitably you fall off the wagon. You crave your luxuries and quite rightly so, they are after all an enjoyable part of life. But this is the key – treat them as a luxury, reward or whatever you want to call it. Don’t kid yourself and deprive yourself of everything you like. That’s the pit fall of healthy lifestyles – boring. But they don’t have to be. So here are my tips – for free! Not based on any magic formula, scientific trials, exercise equipment or super pill. Laughing in the face of all these gimmicks my tips are quite simply based on reality and all the barriers we have to improving our lifestyle. Yes the work demands, yes our wonderful children and family commitments and that dam thing called time we monitor consistently throughout the day. I can’t pretend to say my advice is going to be easy. But I feel it is easier – and more importantly sustainable. That is using the very bad habits against themselves with good habits. Fight fire with fire. Yes habits are good. Habits give us structure and much the same as bad habits, if we can reverse these into ‘healthier habits’ over time these will embed in our routine. Things clicking into place? So look around you. Without sounding patronising (although I know this may be to some) there is a thing called the great outdoors. The best ever gym, totally free, outside your front door and with a host of not just physical benefits but mental health benefits too. Yes the weather can be a right pain, and not all of our living environments are as attractive as pretty countryside villages. But the name of the game here is open space in its many forms. Think of the Nike advert slogan ‘just do it’ as you prepare for a walk to get those steps in. Don’t procrastinate, focus on how you will feel after the walk not the feeling of stepping outside the front door on a typical UK winters evening. Money permitting invest in some new footwear for walking and all weather clothes. Know that walking is probably the most natural form of exercise and is accessible to most of us. Create the habit of ‘moving more’. Remember Diet equals: Deprived, Impossible, Expensive, Trying. Why? Because often we go straight into our new healthy lifestyle avoiding everything we like and eating everything we know we should be, but simply aren’t enjoying it. Is this not a good thing? Of course eating healthy is great, but if you wanted to run a marathon you wouldn’t (and probably couldn’t) do 26.2 miles with no training plan straight away. Treat diet like exercise – small steps. Train the body and mind to accept healthier alternatives at a gentle place. Introduce new foods slowly and concentrate on the taste and texture of these. A great tactic is to eat at a slower pace, something I have learned to do as I used to eat way faster than my brain was at sending me the signal that I was full. If losing weight is your goal this way may not be as quick as sticking to a diet under 1000 calories a day, but I assure you once the weight is off you will have a much better chance of keeping it off, feeling more energetic and more importantly in the long ruin it will be easier. Just as bad eating habits are formed, good eating habits can be formed. You may have days where you eat more bad than good, but don’t use it as an excuse to think you have out done everything positive and give in. Tell yourself this is OK, schedule a treat day in a week to look forward to if that keeps you on track. Combining all these simple tactics, and finding new ones that motivate and work for you is a sure way to beat the weight gain. Moving more and aiming to eat that elusive 5 – a – day fruit and vegetable target is a sustainable and natural way to change your body and just as importantly making you feel good about yourself. Forget exercise fads and extremely restrictive diets that take more willpower than we can ever muster over a long term period and aim to build movement into everyday life, combined with approaching your meals (and treats) with a little common sense. Remember treat and think of food like fuel for a car, we have heard the analogy so many times before but it is a good one. The same as a car when you move the car it consumes fuel. When you move your body, it burns your food (fuel). The more you move, the more you burn. Put the wrong fuel in a car, say diesel in a petrol, or dirty fuel in a car and the fuel lines will block up. Pretty much the same as sugar and fat deposits blocking the arteries in the heart causing a heart attack. Therefore, with this in mind, and above all being realistic, one of the first and easiest steps to take is quite literally to increase your steps – by that I mean walking. See a short video from DR OZ for a brief explanation of the relationship between walking and weight loss. Learn that muscle (and I don’t mean the rippling 6 pack fraternity), is a key weapon in the fighting of weight gain – and walking is one way to build more muscle. Aim to build walking into your everyday activity, everything counts, housework, going to the shops, parking in the furthest car parking space at work or getting off a bus stop early and walking the rest of the way. Check the American college of sports medicine website for further reading on the health benefits of walking. It is quite surprising how creative you can be in incorporating walking into everyday life. Sure life can be busy but with a little planning, you can do it. If you think what can walking do in terms of burning calories check out the following tables from the UK Department of Health. So who am I to make these claims – what do I know that Science doesn’t? Well here are a few notable points? I currently work part time as a workforce Health and Wellbeing Advisor for a large private sector organisation. 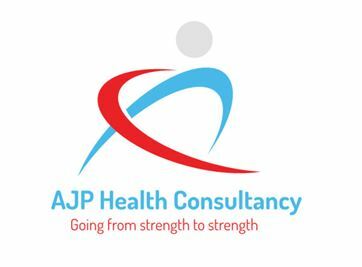 I work for myself in the health and fitness sector around social media, marketing and health promotion projects. BUT more important than any of that is an appreciation life is hard work. Time is limited, bad habits are easily formed and the advice I give is practised by myself. Success is based on consistency and sustainability – not 10 minutes of using an exercise gizmo or magic pill that quite literally has us bored by day one. REMEMBER: Move more, eat well and above all enjoy the results that you are absolutely guaranteed to achieve over time that will cost you a lot less than a gym membership, diet plan or secret guide to weight loss. The choice is ultimately yours.